Conde Nast Traveler requires its writers to travel anonymously and pay their own way. This assures that you get credible, truthful information. 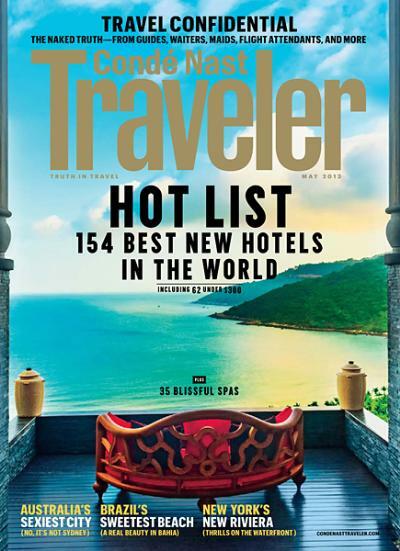 With Conde Nast Traveler as your guide, you'll discover the best islands, cities, spas, castles, and cruises. Your subscription also includes our must-have Gold List, Hot List and Reader's Choice issues filled with the world's best places to eat, drink, shop and stay.